Creative Diagnostics staff scientists have extensive antibody purification experience. We have developed robust proprietary purification procedures for antibodies from serum, ascites fluid, yolks and culture supernatants for use in early discovery research, preclinical trials and in vitro medical devices. All purified antibodies can be analyzed by electrophoresis, ELISA, western blot and HPLC to determine purity and integrity. Corresponding test data will be provided to the customer. 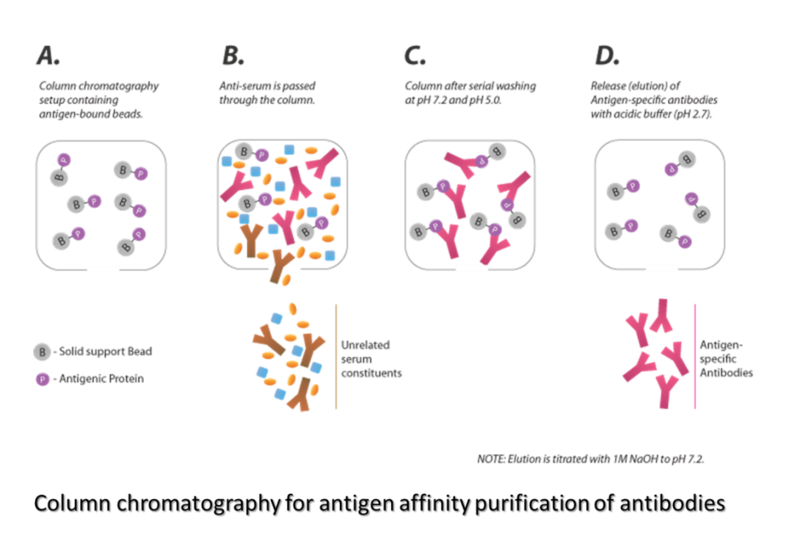 Antigen/Antibody affinity can be used to obtain extremely pure specific antibodies from complex samples. Due to the highly specific purification process, the resulting antibody preparation tends to have lower background levels and lower non-specific binding rates. 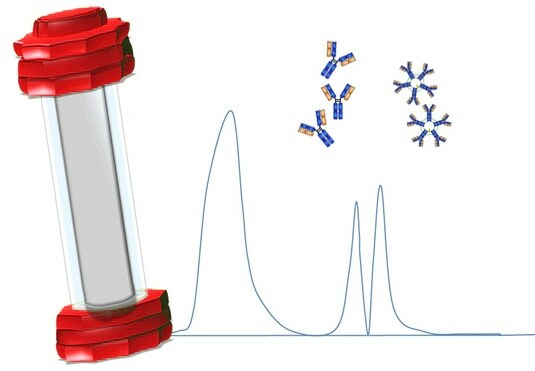 Our scientists have generated various affinity columns, like target-specific peptides, recombinant proteins and antibody based column, and employed several key procedures to provide the best possible affinity purified antibodies. Protein A and Protein G are the most common choices for antibody purification due to their ability to bind the constant (Fc) region of IgG from various species. Since Protein A and Protein G have differing binding efficiencies for IgG from different species, it is important to check this before deciding which method to use. Protein A/G, a recombinant fusion protein that combines IgG binding domains of both Protein A and Protein G, has the additive properties of Protein A and G.
Protein L binds antibodies through kappa light chain interactions. Protein L binds a wider range of antibody classes than Protein A or G, including ScFv and Fab fragments. Protein L is extremely useful for purification of antibodies from culture supernatant because it does not bind bovine immunoglobulins, which are often present in the media as a serum supplement. Also, Protein L does not interfere with the antigen-binding site of the antibody, making it useful for immunoprecipitation assays, even using IgM. We also offer following services, which could be utilized dependently or independently, to support our customs’ antibody purification program. One of our specialists will be in touch to confirm all of the information. Once the quote is approved, simply send in the protein to our laboratory or use our listed antibody products and within 2-3 weeks, the purified antibody will be sent to your lab. Welcome to discuss your antibody purification options with our expert teams. Please contact us at info@creative-diagnostics.com or by calling 1-631-624-4882. We will help you find or develop the optimal antibody purification procedure to reach the best balance between yield, purity and the cost.